Newington, N.H. (October 29, 2018) – SIG SAUER Academy, the leading provider of the highest quality firearms instruction and tactical training in the world, is pleased to announce the addition of Movement Skills for the Competitive Shooter, taught by Mason Lane, to the November course schedule. If you are interested in competitive shooting, or a competitive shooter looking to improve your overall match placements by moving more efficiently, this class is for you. 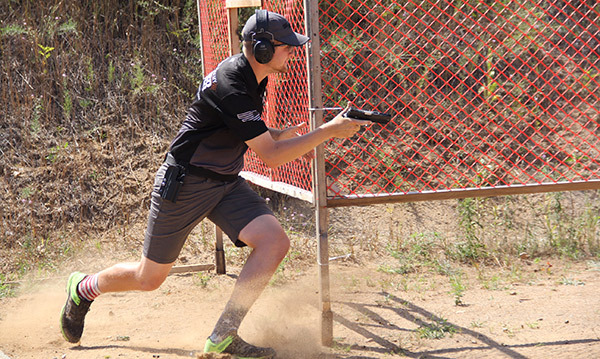 Course instructor Mason Lane is a nationally ranked competitive shooter in USPSA and IDPA. Recently, at the USPSA Nationals held in Frostproof, Florida, Lane placed 6th amongst 250 competitors in the Production Division. Students enrolled in Movement Skills for the Competitive Shooter will learn the principles of leaning mechanics, footwork, position entry and exit, and personal match management. Lane’s class is scheduled for Sunday, November 18, 2018 at the SIG SAUER Academy in Epping, New Hampshire. To register and review the course outline for Movement Skills for the Competitive Shooter, or learn more about the SIG SAUER Academy and its comprehensive course offering visit sigsaueracademy.com. This entry was posted in Training and tagged Academy, SIG, SIG SAUER. Bookmark the permalink.